Celebrity Deaths: Phillip Seymour Hoffman Overdose, “Aces of Spade” Heroin Rumored To Be The Cause! Though Phillip Seymour Hoffman has never been a staple of any kind over her at Freddyo.com, his shocking death is sending ripples through the Hollywood community. 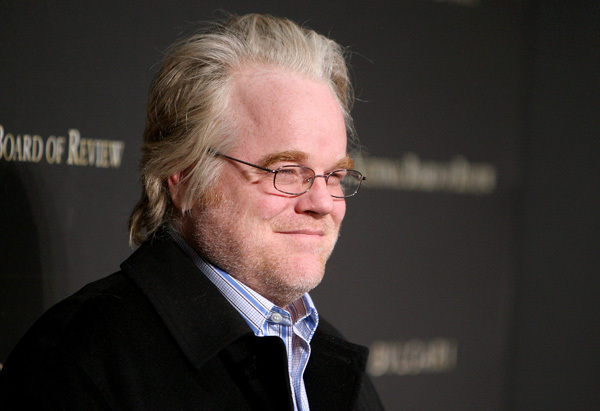 Over the weekend, Hollywood powerhouse Phillip Seymour Hoffman was found dead in his NYC apartment. After the accomplished actor failed to pick up his toddler, a concerned friend stopped by his pad and made the shocking discovery. Hoffman, who was in the latest installment of “Hunger Games: Catching Fire, which as filmed in Atlanta, was found lifeless with a hypodermic needle still stuck in his arm. Though an autopsy/toxicology has yet to be conducted, its obvious an overdose occurred. According to published reports, Hoffman was found with 10 [8 of them were empty] bags of a heroin called “Aces of Spades”. The powerful heroin is said to be 10x’s the strength of regular heroine. Authorities have been tracking a strain of heroin that has killed dozens of people on the East Coast — just last month. The heroin is laced with fentanyl, an extremely potent drug prescribed for terminal cancer patients. The strain is 100 times more powerful than morphine … it sometimes shuts down the respiratory system. The drug — sometimes called “Theraflu,” “Bud Ice” and “24K” — has been linked to 5 deaths on Long Island, 22 deaths in Pennsylvania and 19 on Rhode Island — all in January. Death by drugs is sad way to end your life. Please people if you, or anyone you know is in danger of drugs please PLEASE reach out to someone and get some help. And just so NO to drugs. At least a drug 10 times stronger than anything on the market. Shocking Details: Demi Lovato on Drugs!! !